Like brand new. 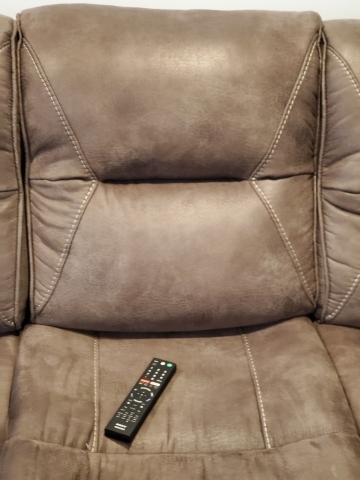 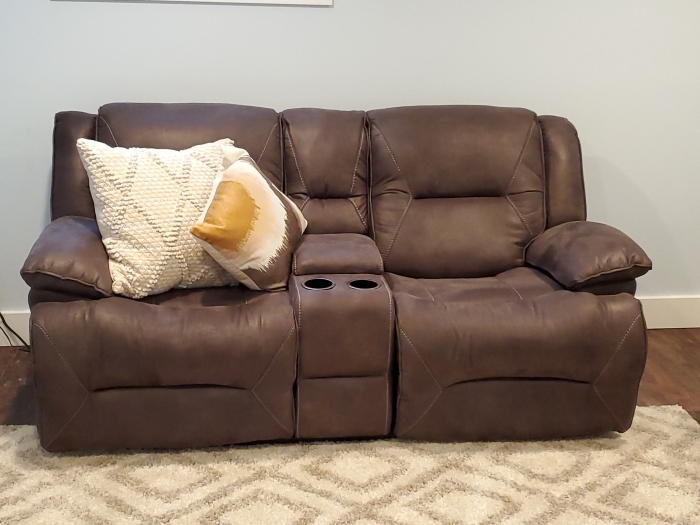 Motorized/Power reclining comfort especially great for watching movies with your family and friends. 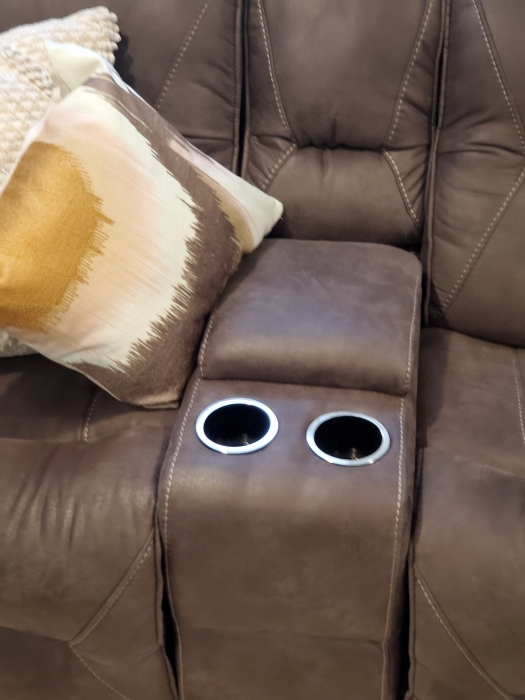 Large cup holders and the loveseat contains plugs and USB ports in the console.